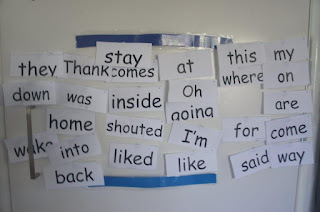 Having a bank of sight words in your memory makes reading easier and research shows that it contributes to a child learning to read successfully. Our school has developed it's own site word list based on the pm readers so check out the list your school uses or you can start with the Dolch List. I strongly belief that now is the time to help him with his reading and over the last 6 months he has improved over ten levels of reading. We do an hour tutorial every Sunday and 30 to 40 mins 4 nights a week. A big commitment so I am continually finding ways to make it fun and to keep him motivated. My Mr 7 has a competitive side and I often harness this to keep him motivated. At the start of the year I developed this sight word ladder to make practicing sight words a little more fun and competitive. It's easy to make and it doesn't take any fancy resources. As you can see mine is not super pretty! 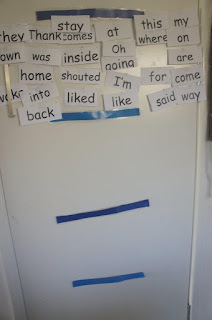 Get a copy of your child's sight word list from school or use the Dolch List. You can find a list of these words here. Print them out as flash cards. If your child is Dyslexic try printing them in the comic san font. Many Dyslexic children find it easier to read. Grab some coloured paper and cut it into strips to make some rungs for your ladder on a door. We use the pantry door in the kitchen. A place where kids can see them a lot and it is easy for us to spend a few minutes doing them. My kids are always asking for more food so by having them here they are exposed to their words many times a day. 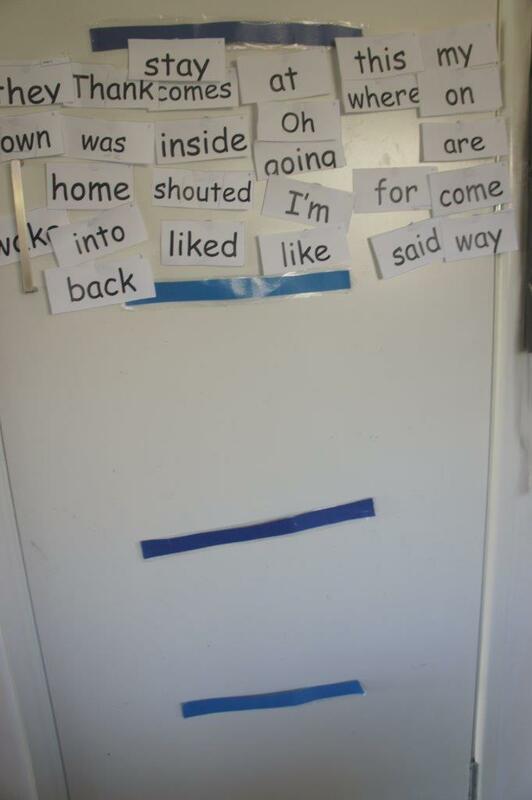 Start with the words at the bottom and then each time your child gets them right move them up a rang. Once they are at the top you get to start on a new list.